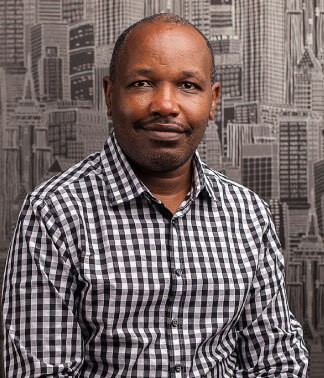 Gitobu holds a Bachelor of Architecture Degree from the Jomo Kenyatta University of Technology; is a member of the Architectural Association of Kenya Architects and Construction Project Management Chapters; and a registered architect with the Board of Registration of Architects and Quantity Surveyors. He started off at Conte Design and sharpened his skills in design of cultural, educational and research institutions. While there, Gitobu also developed a keen interest in landscape design. At AIA, he is involved in design stages of the architectural production process. His track record cuts across design for Housing Schemes, Civic and Commercial Buildings as well as Airport Facilities. Gitobu has an innate ability to bring out excellence in project teams. His passion for innovation and getting the best design solutions for projects has seen AIA win many design competitions and receive several industry awards in the region.